When people decide to get fit and tone their muscles there is one area that they almost always forget to work on. Happily if you visit the Club Med Gym in Tunisia they will help you tone your Abdominal buttocks and that’s really not easy to do. A while ago they used Goats Cheese with the Grilled Vegetables but it never caught on! 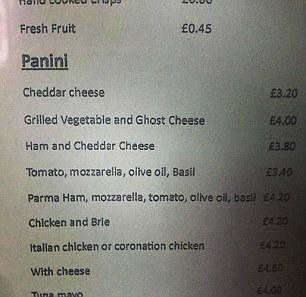 I have a feeling that neither will Ghost Cheese, but then I’m not a Panini specialist. 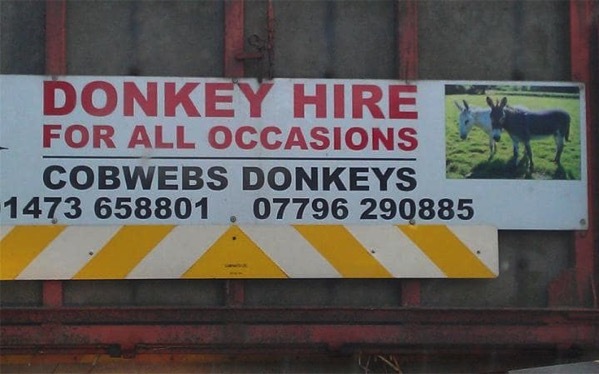 Ever fancied hiring a Donkey? Well you’re in luck! My what an unusual name! You don’t see many of them around! Do you? I like an open handed approach don’t you? Why when I need to change batteries would I require an internal repair patch or Nitrogen? 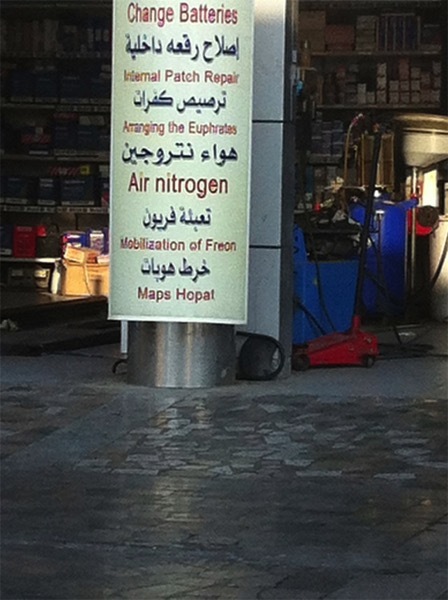 Or hang on, do I need those things so that I can arrange my Euphrates or mobilise my Freon? If anyone knows what this sign is about and why on earth the shop used it I sort of envy them, not a lot though! Can’t get the whites right? 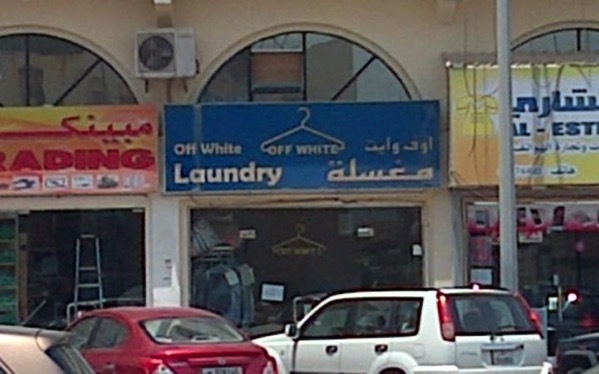 If you want to have sparkling white washing but have trouble getting your whites right then you usually take it to a laundry. One more pooch headed to the pound I expect! 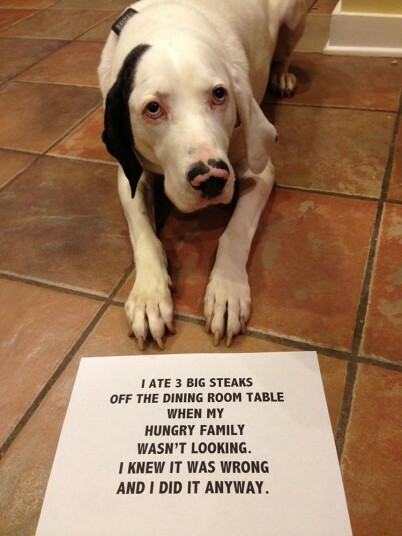 I think he knew he had done wrong, but he doesn’t look that full up does he! It’s best to be warned, isn’t it! 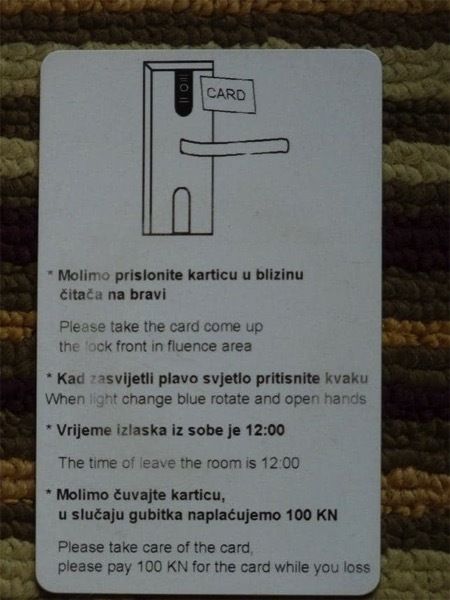 Obviously rooms are designed by someone ‘smart’ that’s encouraging! 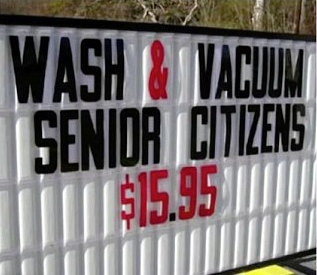 What is a little less encouraging is what they have to say about service. 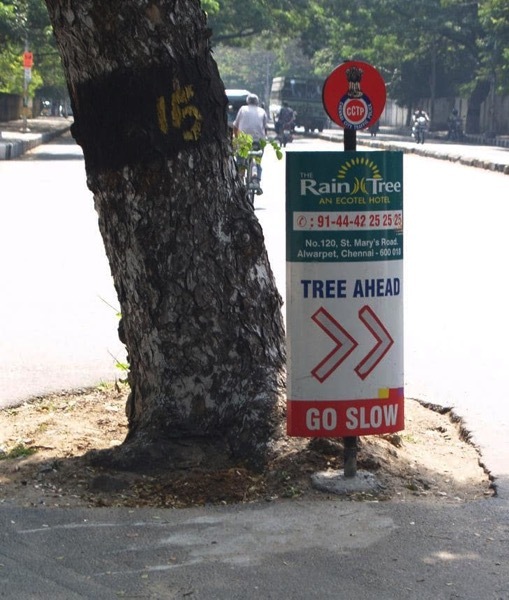 “The Raintree is not just any hotel, it is an experience!” Ha har! Like Cats, as humans get older they start to dribble and drool which is ok, even a little cute. But sadly the effects of age don’t stop there for some because begin to smell. Happily now there is a place where the problem of odourful seniors can be dealt with, cost efficiently and speedily, with little or no harm coming to the seniors themselves.